Collaboration maximizes narrowband radio technology’s superior performance, network capacity, coexistence and total cost for IoT applications. 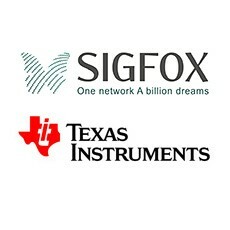 SIGFOX, the world’s premier provider of a cellular network dedicated to the Internet of Things (IoT), and Texas Instruments (TI), a leader in low-power, easy-to-use and the largest portfolio of wireless connectivity solutions, announced the two companies are working together to increase IoT deployments using the Sub-1 GHz spectrum. Customers can use the SIGFOX network with TI’s Sub-1 GHz RF transceivers to deploy wireless sensor nodes that are lower cost and lower power than 3G/cellular connected nodes, while providing long-range connectivity to the IoT. Targeting a wide variety of end-user applications, including environmental sensors, smart meters, agriculture and livestock sensors, asset tracking and smart cities, the SIGFOX and TI collaboration maximizes the many benefits of narrowband radio technology and reduces barriers to entry for manufacturers wanting to connect their products to the cloud. Using the SIGFOX infrastructure reduces the cost and effort to get sensor data to the cloud and TI’s Sub-1 GHz technology provides years of battery life for less maintenance and up to 100 km range. “TI’s Sub-1 GHz technology is an excellent fit for the SIGFOX network, because it supports long-range and high-capacity connectivity in a system-cost-optimized way that users everywhere require to fully benefit from the potential of the Internet of Things,” said Stuart Lodge, executive vice president of global sales at SIGFOX. SIGFOX’s two-way network is based on an ultra-narrowband (UNB) radio technology for connecting devices, which is key to providing a scalable, high-capacity network with very low energy consumption and unmatched spectral efficiency. That is essential in a network that will handle billions of messages daily. 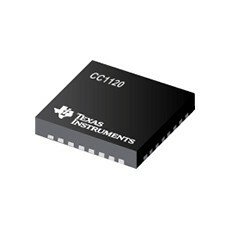 TI’s CC1120 Sub-1 GHz RF transceiver uses narrowband technology to deliver the longest-range connectivity and superior coexistence to SIGFOX’s network with strong tolerance of interference. Narrowband is the de-facto standard for long-range communication due to the high spectral efficiency, which is critical to support the projected high growth of connected IoT applications. The CC1120 RF transceiver also provides years of battery lifetime for a sensor node, which reduces maintenance and lowers the cost of ownership for end users. Sub-1 GHz networks operate in region-specific industrial scientific and medical (ISM) bands below 1 GHz including 169, 315, 433, 500, 868, 915 and 920 MHz. The networks are proprietary by nature and provide a more robust IoT connection, which is why the technology has been used for smart metering, security and alarm systems and other sensitive industrial systems. Additionally, the technology is low power, enabling years of battery life to reduce service and maintenance requirements. Additionally, TI’s CC1120DK and CC1200DK development kits can be purchased through the TI Store or TI authorized distributors to test the capabilities and range of the TI solution.